Daniel Neilson (pictured above) has overcome a tough heads-up battle with Trent Miller to win the $5K Challenge here at the Star Poker room. Neilson had a significant lead for most of the head’s up play and eventually made it play for a $115,000 payday! Miller didn’t go out empty handed, buying drinks at the bar with his $77,000! We’ll see you back at the Star Poker room tomorrow from 12.30pm for the first flight of the MAIN EVENT. The $550 PLO event has concluded with friends (we think they’re friends based on the photos) Jimmy Tran, Tam Truong and David Tam finishing top three in that order. Jimmy takes home almost $14k for his troubles. Well played boys! Daniel Neilson is pushing ahead, now with a 3:1 chip lead. Nothing against Trent, but Neilson is using all of his experience to get the job done. Daniel Neilson (pictured left) is taking on Trent Miller (pictured right) for the title. Chip counts are about even so it could be a long night. Neilson has won this event before so wants to do it again, while Miller is seriously motivated (you can see it in his eyes!). 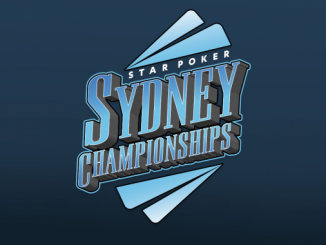 Hassib Younan has busted in third place to the hands of Daniel Neilson. Younan pushedall-in pre-flop. Tabling Kc-Qc, Neilson called with As-Jc. The board ran out Jc-10-9-2-8 to knock Younan out of the tournament for $55,789. 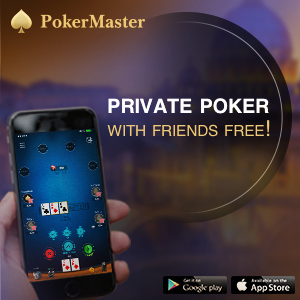 PokerMedia friend (!) and Star Poker regular Laurence Hall has busted in 4th place. He got it in with his black K-K vs Q-Q of Trent Miller, but although he had outs midway through with spades, got busted with the initial Q on the flop and plenty of 7s after a board of Q-7-7-9-7! The 15 players that started play today have slowly windled down to 6, down from the 81 entries for the event. Most recently, James Camilleri has busted in 8th place ($14,428) and Didier Guerin in 7th ($17,314). A couple of gents have been eliminated. Daniel Laidlaw in 10th ($9618) and Kamyar Kkrami in 9th ($11,543). In pre-flop action, Tolly Sekellariou finds himself all-in for his remaining 55k against Trent Miller’s big stack of almost 200k. Tolly tables K-J but comes up against the A-K of Miller. The board runs out K-9-6-8-Q for no assistance to Tolly and he becomes the unfortunate bubble boy! The top 10 will make the cash and it’s bubble time! Didier Guerin with a big stack of almost 200k, calls Kamyar Ekrami in his pre-flop shove of about 40k. Guerin tables A-5 v A-9 as the board runs out 10-9-2-6-6 to double up Ekrami and keep the bubble alive. Trent Miller, Kamyar Ekrami and Jose Quintas got tangled in a hand where there were two all-ins but Miller decided to leave it to the short stacks. Kamyar tabled JsJx v A-10 of Quintas. The board ran out Jx-Ks-4s-6s and…..a 7s on river to keep Kamyar alive! Upon entering the new Star Poker room for the first time (and may we add, a great location it is, finally – more on that over the weekend), we’ve been advised that George Karageorge is the first casualty of the day. We’re not sure of the exact circumstances but he’s been left with no chips, and is therefore busted! 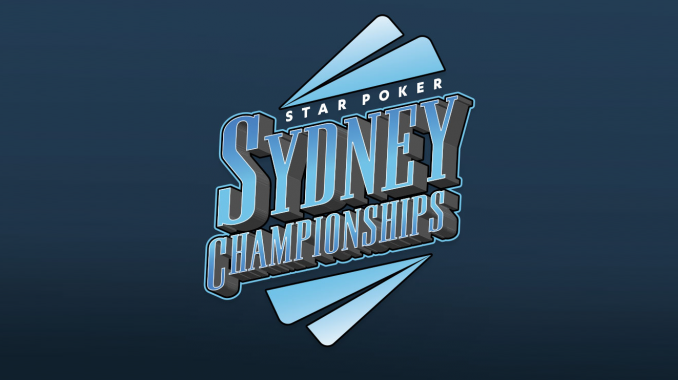 Star Poker Manager, Stephen Ibrahim, has roped us into providing some reports about the $5k Challenge as part of our Sydney Champs coverage! That’s fair enough, there are some decent players at the tables and history is being made. We can’t speak of why Daniel Neilson is still in the field but you get lucky sometimes (just kidding Daniel!). We’ll do our best to bring you some reports from play tonight. Anything that happens in the wee early morning hours of play will be updated tomorrow ahead of the first flight of the Main Event.